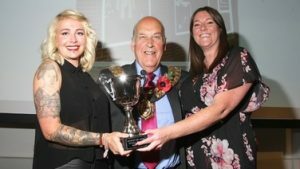 Barnsley Civic Trust Retail Awards have been running now for 10 years; they have grown year on year until in 2016 we had 280 entries from Barnsley town centre. 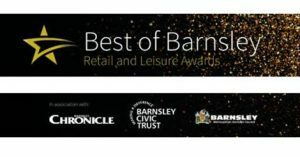 Building on this success, Barnsley Chronicle, Barnsley Council and Barnsley Civic Trust teamed up in 2017 to launch a new and larger award scheme: the Best of Barnsley Retail and Leisure Awards. Now any retail or leisure business across the borough can enter. Businesses can either nominate themselves – or customers can do it on their behalf. In 2017 there were 15 categories to choose from. All businesses or their customers had to do to enter was to fill in a short nomination form, telling us why you think the business deserved a place on our shortlist of five finalists. Once the shortlist was announced, mystery shoppers visited each of the finalists and rated their performance against strict criteria. 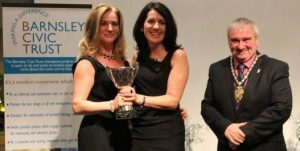 The winners were announced at a glitzy awards night in June, celebrating the Best of Barnsley in Retail and Leisure.